(Kolkata, Feb 03,2019):West Bengal Chief Minister Mamata Banerjee, who began a sit-in protest over the CBI''s attempt to question the Kolkata Police chief in connection with chit fund scams, said Monday she will continue her "Satyagraha" till the country and its Constitution are "saved". The Chief Minister skipped meals and remained awake the entire night on a makeshift dais here along with some senior ministers and party members. "This is a Satyagraha and I''ll continue till the country is saved," Banerjee told reporters who accompanied her at the place of dharna. She said she was getting calls from politicians, including former Uttar Pradesh Chief Minister Akhilesh Yadav, Madhya Pradesh Chief Minister Kamalnath, Delhi Chief Minister Arvind Kejriwal and Gujarat MLA and Dalit leader Jignesh Mevani. 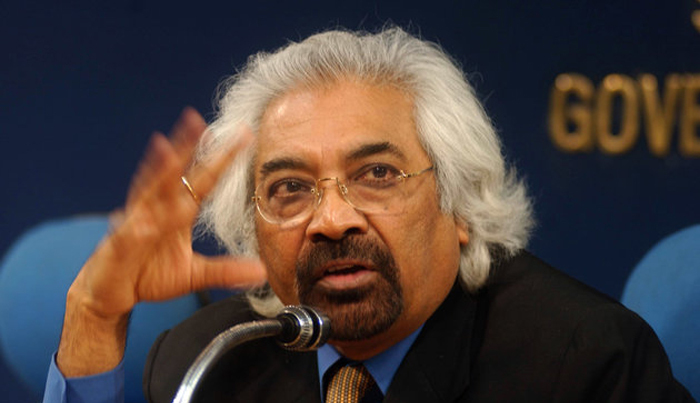 Asked if any of the leaders would arrive in the city to meet her, Banerjee said, "I''ve no idea about that. If someone wants to come, we will welcome them. This fight is not by my party. It is for my government". Several party supporters from different districts thronged the area shouting slogans in support of Banerjee. "We have come here in support of our beloved didi. We stand in support of her," said a supporter Poritosh Sengupta from Halisahar. 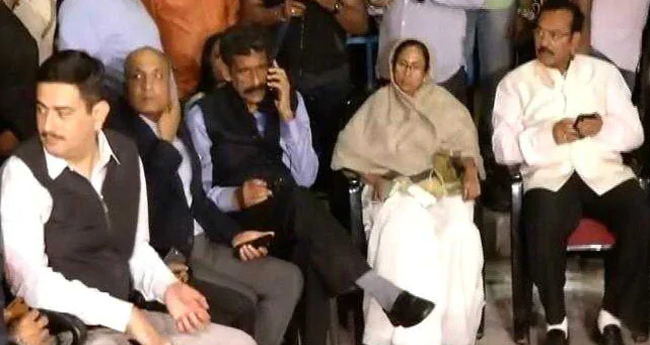 In an unprecedented development Sunday evening, Banerjee sat on a dharna, protesting CBI''s attempt to quiz Kolkata Police chief Rajeev Kumar in connection with chit fund scams. A CBI team, which went to Kumar''s residence in the city''s Loudon Street area, was denied permission, bundled into police jeeps and were whisked to a police station. The CBI wants to quiz Kumar, who led a Special Investigation Team of West Bengal police probing the scams, regarding missing documents and files. Several political leaders, including Congress president Rahul Gandhi, Kejriwal, Andhra Pradesh Chief Minister M Chandrababu Naidu, R J D national president Lalu Prasad, came out in support of Banerjee. Gandhi called up Banerjee and extended support to her, saying the entire opposition is together and it will defeat the fascist forces.